Discover the exclusive advantages that the St. Peter’s Spa offers its members. Choose a formula that suits you from subscription to admission packs and start to take care of yourself today. Access to the Roman baths area with its heated indoor pool, sauna, Turkish bath, hydromassage pool, relaxation area and herbal tea corner, open daily from 9 am to 9 pm. Use of our gym with its Technogym equipment and cardio.fitness circuit, open 24 hours a day. Access to the following fitness courses: Pilates Revolution®, Piloga, Pilates Matwork, Tone Up, Postural gymnastics, Soft aerobics, Body, Armony®, Interval training, Total Body, Acquagym, Gym-music, Aquabike. Use of outdoor swimming pool during the summer season (approximately from May to September, from 10 am to 6 pm) with sun loungers, beach umbrellas and bath towels available. 20% discount for family members for all services. 15% discount on individual treatments and a 20% discount on the purchase of packages of 10 treatments. 10% discount at our Papillon Ristorante Papillon, open daily from 11 am to 10 pm. BRING A FRIEND! By purchasing one of the following subscriptions you will be entitled to 1 free admission per month for a friend. Use of the Roman baths area with its heated indoor pool, sauna, Turkish bath, hydromassage pool, relaxation area and herbal tea corner. Open daily from 9 am to 9 pm. 10% discount on individual treatments and a 15% discount on the purchase of packages of 10 treatments. 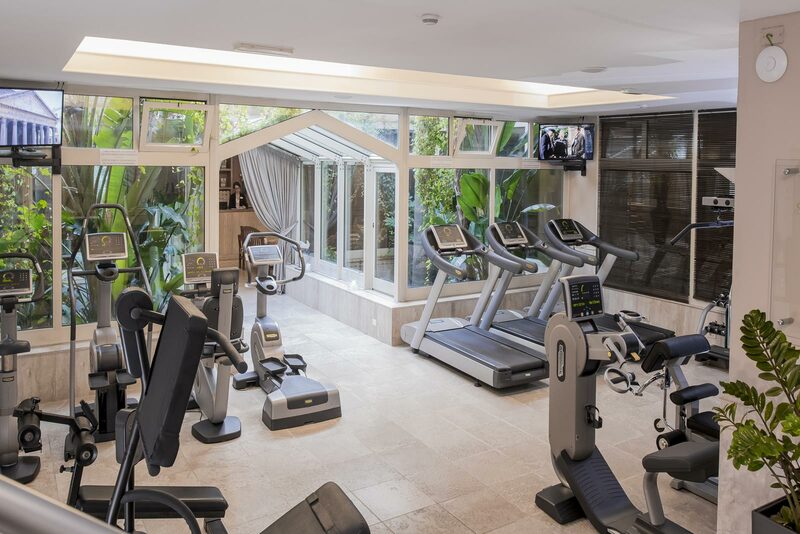 Use of our gym with its Technogym cardio-fitness circuit and equipment, open daily, 24 hours a day. 10% discount on individual treatments and a discount of 10% on packages of 10 treatments. 10% discount at out Papillon restaurant, open daily from 10 am to 10 pm.